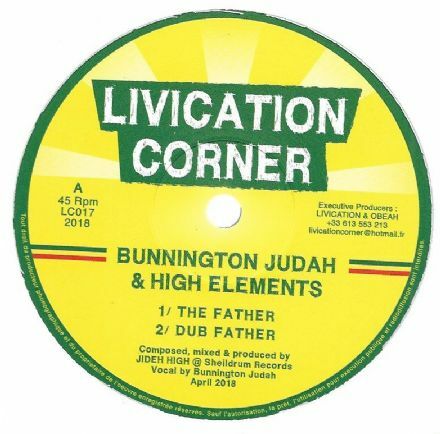 Bunnington Judah & High Elements - The Father / Dub / Dubshot / Rawshot (Livication Corner) 12"
Track Listing / Description Bunnington Judah's voice has been an ever-present feature on wax for some time now. His vocals have been transmuted consistently through the Channel One Sound machine. 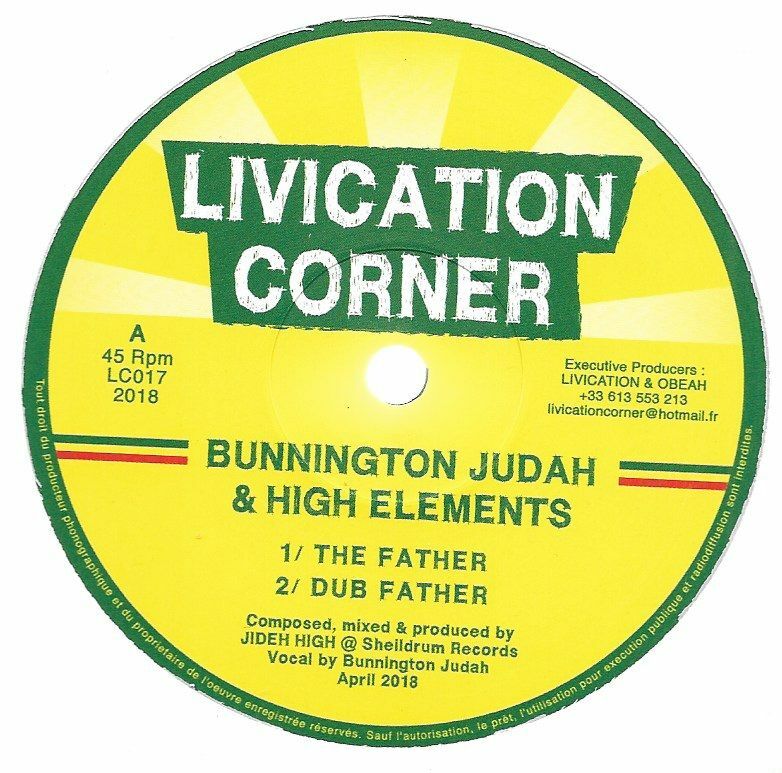 Hailing from Leeds, Judah's dark vocals and trademark, multi-layered vocals always slice through the steppas riddim tracks he graces. On this occasion we see him combining with High Elements. Aba Shanti brought this producer to a strong level of exposure by running Side B in dances, aptly titled 'Dubshot.' The track is penetrating with jagged percussion. Dub mix is spartan. This is a solid 12".